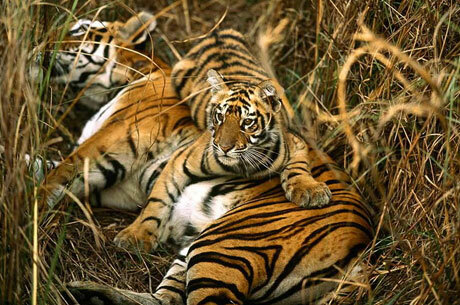 India’s first wildlife sanctuary, Jim Corbett National Park was established in the year 1936. It is based in the Nainital District of Uttarakhand. At first, it was called Hailey National Park, but the name was changed in 1957 to commemorate the life and efforts of Jim Corbett who was a glorious hunter, naturalist and writer. He was considered to be one of the most skilful and renowned hunters of the colonial phase. In addition to that, he made a major and considerable contribution to the establishment of the National Park. 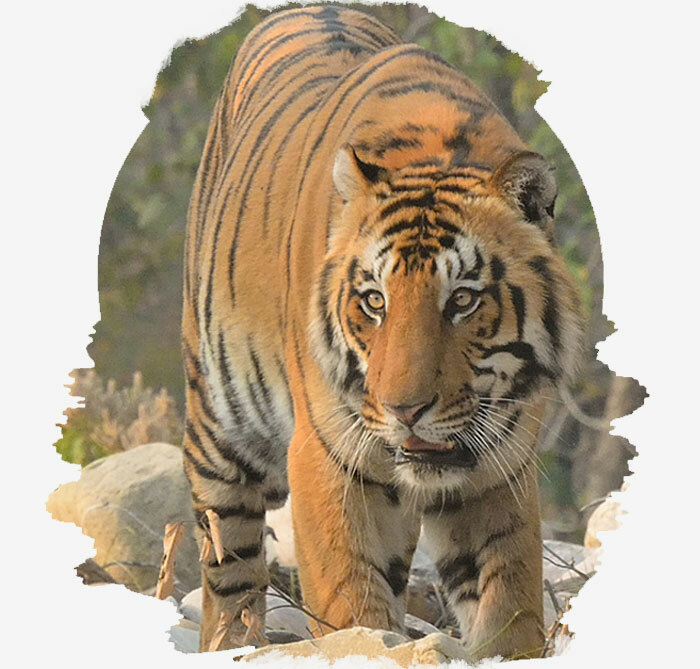 Jim Corbett National Park is a world famous Tiger reserve and home to a wide variety of majestic animals such as leopards, elephants, boars, jackals, mongooses and so on. Most importantly, the Park has a mixed variety of Flora and Fauna. Besides that, the tiger conservation program, Project Tiger, was inaugurated in the National Park to provide a natural and safe habitat to the endangered Royal Tigers of Bengal. 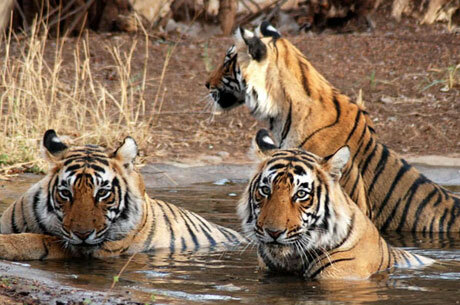 It is very important to note that Jim Corbett National Park is an exclusive delight for fervent wildlife enthusiasts. However, tourists are only allowed in selected regions of the reserve so that they can enjoy the wildlife and landscape. Corbett National Park encompasses a total area of approximately 520 square kilometres. The region comprises of a big lake, beautiful hills, plains or grasslands, riverine belts and marshy land. The area has a great climate and witnesses heavy rainfall all the way from July to September. It is unquestionably one of the best ecotourism destinations in the world. Moreover, the primary purpose of this reserve is to spread awareness and preserve the environment in its natural form. 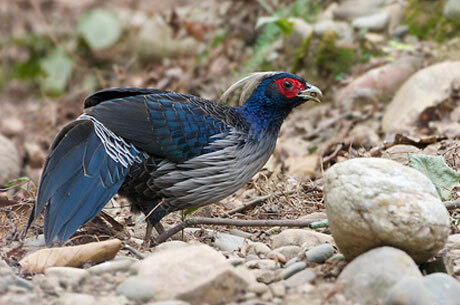 Jim Corbett National Park is home to a prismatic range of flora and fauna. The apt climatic conditions and a profusion of water bodies support the existence of a variety of flora species along with the diverse wildlife populace of the National Park. The flora comprises of plants like Lichens, Ferns, Mosses, Scarlet Red Flowers, Exotic Orchids, Dodder and many more. The National park is well known for its lush green vegetation which includes Bael, Ber, Dhak, Sheesam, Aamla, Banj Oak, Date Palm, Jamun, Maddar, Chir Pine et cetera along with various types of grasses such as Tiger Grass, Kansi, Spear Grass, KhusKhus, Narkul, ThemedaArundinacea and Baib. The fauna of Jim Corbett National Park consists of a multitude of birds, reptiles and mammals. 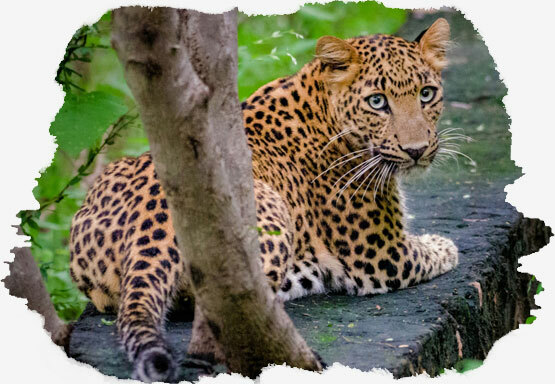 The National Park is inhabited by carnivores like the Royal Bengal Tiger, Leopard Cat, Jungle Cat, Leopard and Fishing Cat. Mammals like Sambar Deer, Himalayan Black Bears, Sloth, Chital, Indian grey mongoose, otters, Yellow-throated martens, Barking Deer, Hog Deer are found in large numbers in reserve. Several types of birds are found in the National Park such as Cormorants, Grey Heron, Grey Heron, Cattle Egret, Sandpipers, Darter, Himalayan Vulture, Crested Serpent Eagle, Osprey, Black Eagle, Jungle Nightjar, Fish Owls, Stone Curlew, Hornbills, Green Pigeons, Babblers, Bulbus, the Indian Cliff Shallow, the Dusky Crag Martin and so on. In addition to that, the reserve also serves as an ideal abode to a plethora of fishes and reptiles like Rohu, Indian Trouts, Mugger Crocodile, Indian Python, Turtles, Monitor Lizards et cetera. 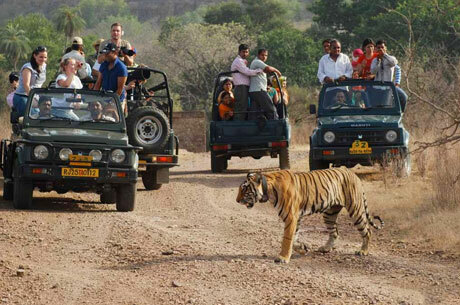 Jeep safaris are the most renowned among all the safari options in Jim Corbett National Park. Carried out twice in a day, these safaris are permitted in all the buffer zones of the National park. The jeeps are allotted keeping the zone in mind. Jeeps can take you to core places where the canter safaris cannot go because of its massive size. Despite the small size, jeep safaris offer an unmatchable and captivating experience. 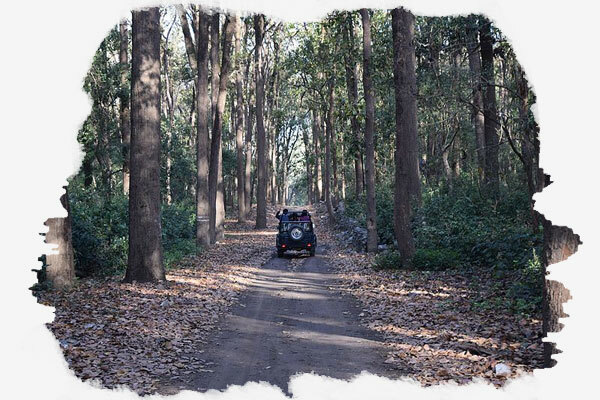 The jeep can take you all the way into the hidden and isolated spots of the National which are often frequented by the Royal Bengal Tiger and similar carnivores. The jeep also takes you to Sitabani that does not fall in the category of recommended buffer zones. Visitors can cherish Mother Nature in Sitabani as the zone provides a serene and calm ambience. You must carry a disposable bag and not litter the Park since it is an environment-friendly zone. Booking Information: Book in advance as the number of jeeps varies on the basis of zones. 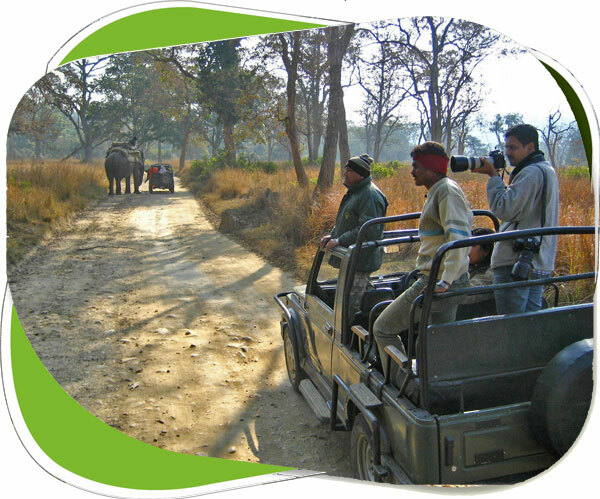 There is no better way of exploring the wilderness of Jim Corbett National Park other than canter Safaris. Canter Safaris are carried out by the Forest Officials twice in a day. One canter has a seating facility for sixteen people. The safari is suitable and apt for a large group of people. Canter safaris offer ultimate safety to its passengers and provide an amazing experience. The safari is almost five hours long during which it takes the passengers to different spots in the National Park. Visitors must keep in mind that non-vegetarian items and alcoholic beverages are not permitted during the Safari. Moreover, passengers are requested to always carry a disposable bag with them to ensure they do not create a mess in the natural habitat. Booking Information: You must book in advance as only four canters are permitted at a time. Sitting on the back of an Elephant and catching a glimpse of several animals in the National Park is an incredible experience. It is the most pristine and natural form of safari. The best thing about Elephant Safari is that it takes visitors to hidden and important areas of the National Park where it is infeasible for other types of safari to get in. Additionally, this is the only Safari that does not pose a threat to the environment of the reserve in any way, unlike jeep and canter safaris. 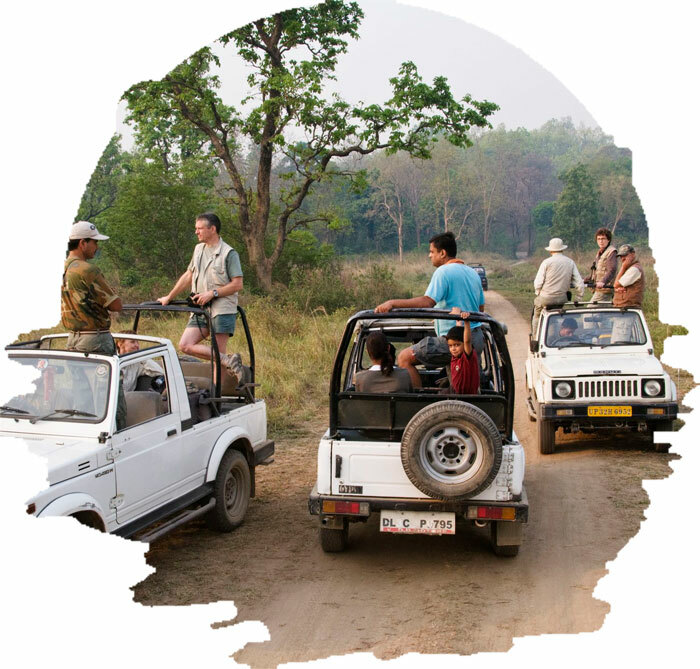 The safari is carried out under the leadership of experienced mahouts, and one can expect a safe and enthralling experience. In addition to that, visitors must carry a personal disposable bag for their leftovers so that they do not litter the heavenly abode of so many majestic animals. Booking Information: No prior booking is needed because the one who comes first is served first. 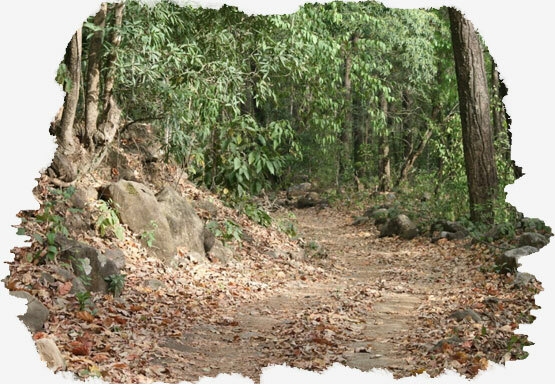 Jhirna Zone is one of the newly introduced zones in Jim Corbett National Park. The zone located at a distance of 16 kilometres from Ramnagar. It is easily reachable through various means of transport since it connected with the major city. It is a well-known place for coming across charming bears of the region besides the phenomenal and appealing beauty that the zone offers. The entry of this zone is through the Jhirna Gate. In addition to that, the zone is best to visit from October to June. Dhikala Zone is the biggest buffer zone of Jim Corbett National Park and is the centre of activity for the visitors. A large number of magnificent wildlife species can be found in the zone including the Royal Bengal Tigers, Asian Elephants, Deer, Chital et cetera. The entry to Dhikala Zone is through the Dhangadi Gate. The aptest time to visit Dhikala Zone is from mid-November to June. The entry to Durga Devi Zone is through the Durga Devi Gate of the National Park. This buffer zone is known for a large number of avifauna species. 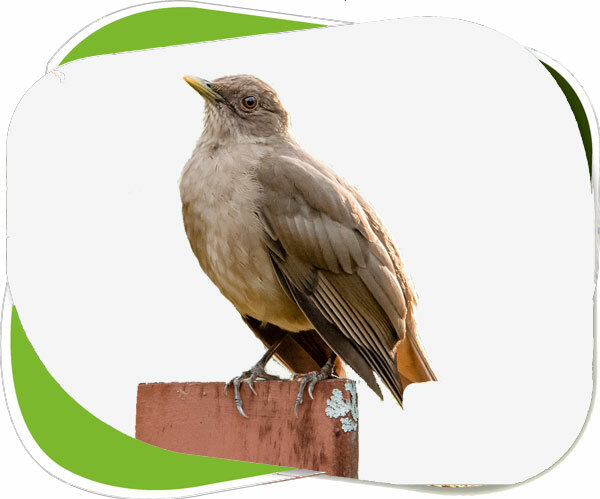 Durga Devi Zone is an ideal place for those who love bird watching as it is home to a wide variety of birds like Black Chinned Yuhina, Grey Headed Eagle and so on. This buffer zone is quite popular among bird enthusiasts because it is the ideal spot for bird watching. It is best to visit Durga Devi Zone during mid-November to the end of June for an exotic and phenomenal experience. Bijrani Zone is a perfect place for lovers of nature and wildlife enthusiasts who admire the flora of the region. This buffer zone is situated at a distance of only 1 kilometre from Ramnagar. The entry point for Bijrani Zone is the Amanda Gate. Wildlife species such as deer, chital, tiger, monkeys, elephants and a variety of other animals can easily be spotted in this zone. For the best experience, the best time to visit Bijrani Zone is from the month of mid-October till the end of June. It is true that Sitabani Buffer Zone is not incorporated into the main Park yet the site is frequented by a plethora of nature enthusiasts and wildlife lovers. Sitabani Buffer Zone offers a ravishing scenery, serene atmosphere and unreserved nature of the zone. It cannot be denied that it is one of the main tourist attractions. In 2014, Dhela Safari Zone was included within the tiger reserve of the park. It is one of the most popular ecotourism spots in reserve. The zone receives huge crowds on a regular basis can be visited all around the year. 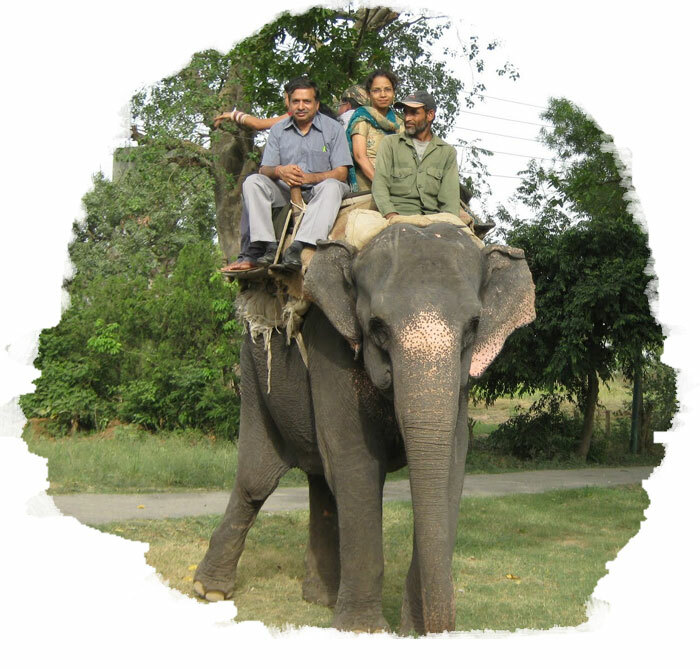 Besides, Dhela Safari Zone is situated at a distance of13 kilometres from Ramnagar. 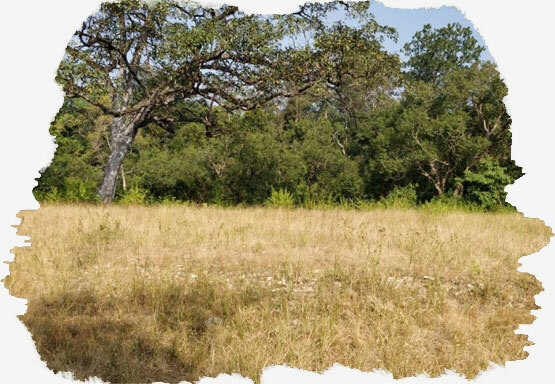 The zone is absolutely perfect for wildlife enthusiasts who love to view nature in its pristine form, the way it is. The fun and excitement do not end at the zones and safaris of Jim Corbett National Park. Some of the beautiful wildlife in reserve is at the risk of extinction, and the presence of such a large number of various species makes for an unforgettable and fascinating experience. Jim Corbett National Park indubitably has some remarkable options for adventure lovers besides the regular safaris and sightseeing. Jim Corbett National Park has a multitude of ravishing spots for the river crossing. A large portion of Corbett rests on the banks of River Kosi. Sonanadi and Ramganga rivers are the lifelines of Corbett National Park. During River Crossing, one end of the rope is tied to the facing side of the river, and the partakers are fastened to the other end of the rope in order to cross the river with the assistance of the rope. River crossing indubitably makes for a fascinating and thrilling experience. The activity introduces adventure junkies to different types or boulder-strewn paths, terrains and gorges within the National Park. Moreover, The rivers in the region play an important role in maintaining biodiversity. If you are a fan of camping, you must visit Jim Corbett National Park at least once in your lifetime. The Park is indeed a ravishing hub for camping enthusiasts. The rich greenery, fascinating hillocks and beautiful rivers in the region make it a perfect spot for overnight camping. Besides, camping is among the best activities that one can enjoy in the park and bask in the untouched beauty of the reserve. Camping brings the visitors close to nature so that they can cut off from their daily lives and enjoy the natural bliss along with a plethora of other activities to do. Visitors can feel what it is like to be an inhabitant of the National Park. Furthermore, camping provides with visitors with a calming and natural experience. Visitors can take their pick from the large number government as well as private camps based on their requirements. 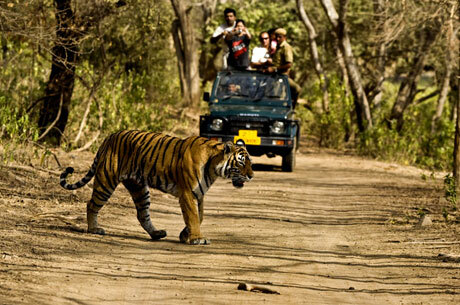 The main reason tourists come to Jim Corbett National Park is none other than wildlife spotting. Visitors are permitted to enter certain regions of the National Park so that they can bask in the beauty of the ravishing wildlife that the reserve has to offer. Tourists can book a jungle safari and enter the various buffer zones where they can come across a wide variety of animals including endangered species. Dhikala zone is the most ideal of all the buffer zones when it comes to wildlife sporting. It is a delight for wildlife enthusiasts. The safaris are not only meant for enjoying the sight of different animals but for the inhabitants of the National Park as well. Other buffer zones such as Bijrani and Jhirna zones are an ideal home to a large population of wildlife. 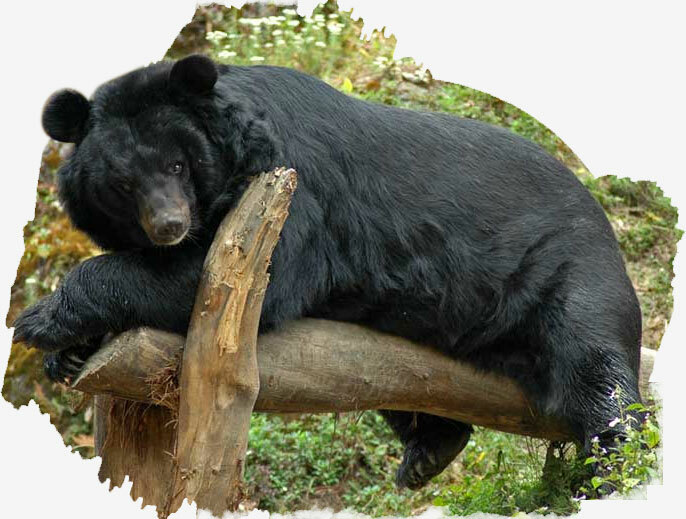 You can expect to have an encounter with bears in the Jhirna Zone whereas the Bijrani Zone is renowned for dominant animals like tiger, Chital, Elephant and many more. In addition to that, Jim Corbett National Park is indeed the best destination for wildlife spotting as it provides an unforgettable experience to the visitors. 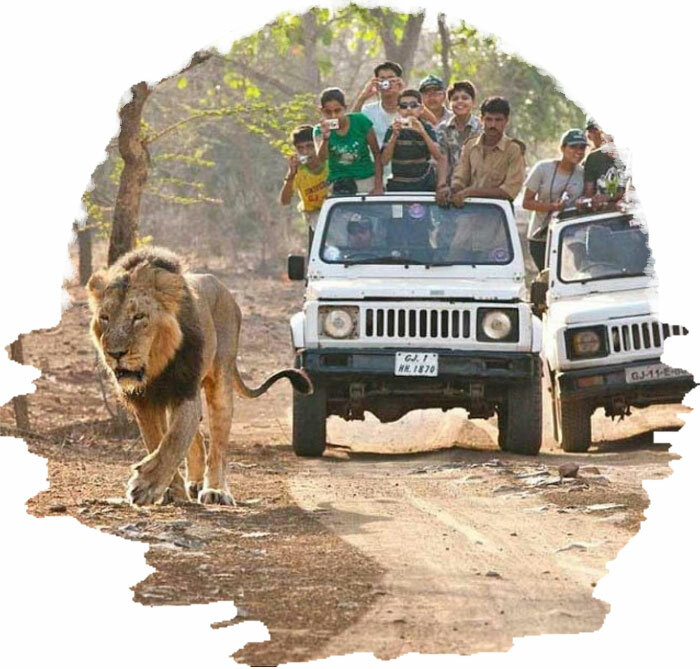 The most popular activity of the National Park is Jungle Safari. A visit to Jim Corbett National Park remains incomplete without indulging in this activity. Jungle safari is a portal to majestic beauty and rich greenery of the reserve. Besides, it is one of those activities which take place in all buffer zones all around the day. There is no activity offered by the National Park which is as renowned as Jungle Safari. 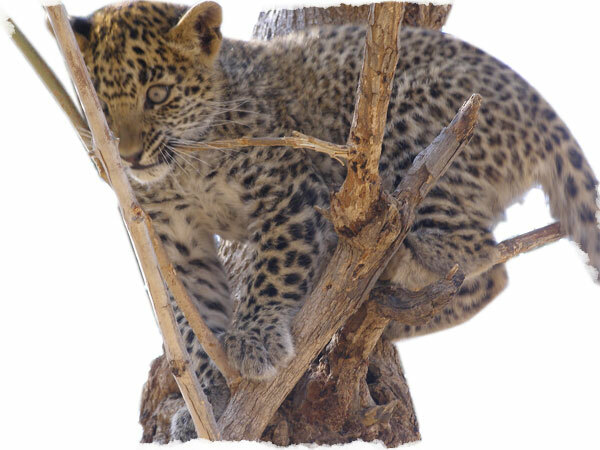 The safari takes the visitors to all permitted areas of the region from natural habitats of the dwellers of the jungle to places where amazing animals and predators can be easily spotted. Tourists can choose from jeeps, elephants or open centres for their safaris depending on the experience they are looking for. Jeeps are suitable for small groups whereas canters can cater to a large group of people because of its size. 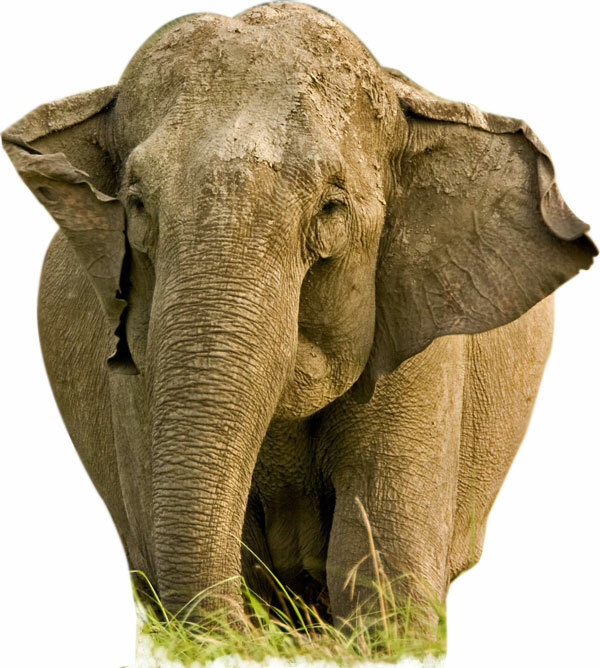 Elephant Safaris are best for visitors looking for a completely natural experience. Safaris are usually carried out in mornings as there is no better time to explore the wilderness of the National Park. No place in this entire country can beat the natural beauty and splendour of Jim Corbett National Park. It is because the environment of the region is well preserved and clean. The National Park has beautiful and charming wildlife that cannot be found anywhere in this nation. The beauty of the region is nothing less than a treat for ardent photographers. Nature is so ravishing that it attracts a large number of shutterbugs to capture the beauty of the National Park along with the incredible flora and fauna that it has to offer. Jim Corbett National Park is undeniably the ideal destinations for bird watching as the reserve is home to multiple species of birds, many of which are endangered. 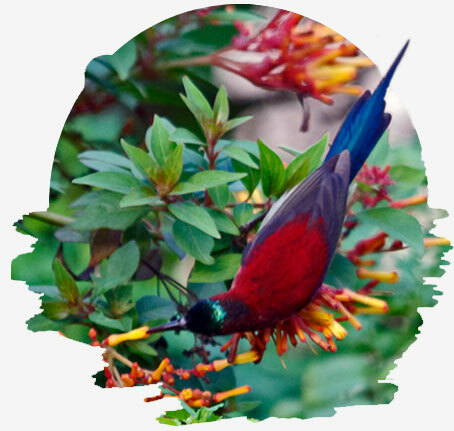 Bird watching is an exciting activity that attracts a lot of wildlife enthusiasts and nature lovers to the National Park. 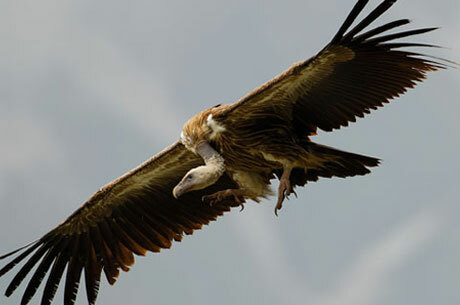 The Durga Devi Zone is the best location for bird watching among all the various buffer zones. Migratory birds are attracted to the reserve by its rich greenery and beautiful setting. Plenty of people show up just for watching the various types of birds. The best season for bird watching is winter as a multitude of birds are attracted to the region during this particular period of the year. There cannot be a better place than Jim Corbett National Park when it comes to game fishing or angling. It is indeed the best destination for such activity because of the rivers in the region. 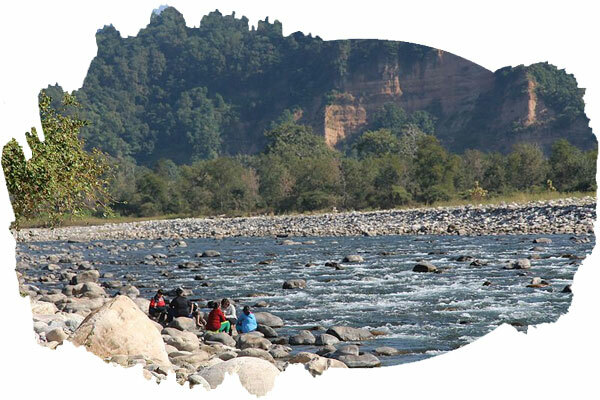 Ramganga River is unbeatable regarding competition and has the best spots for game fishing enthusiasts. Nonetheless, for catching the renowned golden mahseer, Rikawasi and Matwasha are the most popular destinations among all the angling spots in the region. 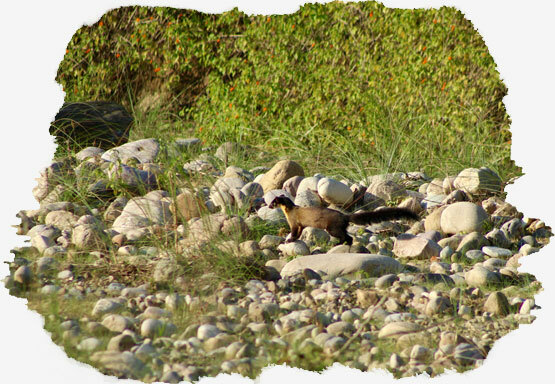 Other than that, Kosi River, the lifeline of Corbett National Park, offers a variety of great spots for game fishing. Visitors must keep in mind that angling in Kosi River is allowed only from October to June due to several reasons. Moreover, this activity offers an unmatchable experience to the visitors. Jim Corbett National Park offers adventurous activities, and one of them is River Rafting. Visitors can enjoy rafting in the gurgling rivers of the region and feel the adrenaline rush. The National Park offers a plethora of rafting sites that visitors can take their pick from based on their needs and preferences. Different sites provide different types of experiences to the rafters. The activity offers varying levels of rafting and visitors can choose according to their preferences. Mountain biking is one of the most adventurous and thrilling activities of the National Park. Mountain bikers from all over the world are attracted to the mountainous and hilly scenery of the park, and such enthusiasts frequent the region. The activity offers levels of varying difficulty for making it little interesting and challenging for the mountain bikers. In addition to that, visitors can also enjoy the wildlife while experiencing the thrilling ride. Nonetheless, visitors are advised to avoid mountain biking during monsoon it can be risky. Other than that, mountain biking offers an unmatchable and unique experience to the visitors. Rock climbing is one of the most famous activities of Jim Corbett National Park. The activity has its own unique beauty and enticement. As per the sources, the park has a multitude of uneven rock formations which make it a perfect spot for an activity like rock climbing. In addition to that, rock climbing provides an adventurous and enthralling experience to daring visitors. The ideal way to discover and explore the wilderness of Jim Corbett National Park is through nature trekking. There is no activity as effective as nature trekking that can bring one closer to Mother Nature. However, nature trekking is permitted only in certain regions of the National Park, yet the activity promises beautiful and lively moments. Additionally, Nature trekking offers an extraordinary and charming experience to its visitors. 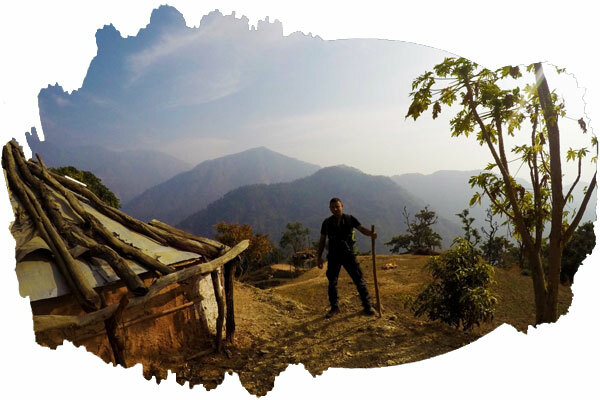 The best thing about nature trekking is that it permits the visitors to indulge in camping within the National Park and enhance their overall experience. How to reach Jim Corbett Park? Ramnagar is the closest city from Corbett National Park. The city is reachable through various means of transport such as railways, road et cetera. Ramnagar is in close proximity to major Indian cities like New Delhi, Lucknow, Dehradun, Haridwar, Ranikhet, Bareilly, Moradabad, Nainital and so on. Jim Corbett National Park is easily approachable from the nearby railway station as it takes around thirty minutes to reach from there. By Road: The road network is just phenomenal. Ramnagar connects some cities to their desired destination. Visitors can either travel through state-owned buses, hired taxis or their own vehicle to reach the National Park. By Train: Ramnagar Railway Station is connected to almost all the major cities of India. Kathgodam Express, Corbett Link Express and Ranikhet Express are some of the trains that follow a direct route from the capital (New Delhi) to Ramnagar. Furthermore, Ramnagar Railway Station is very close to Jim Corbett National Park. By Air: The closest domestic airport to Ramnagar is Pantnagar Airport situated at a distance of around 123 kilometres from Corbett National Park. The airport receives flight from cities like Delhi, Patna, Pune, Ahmedabad, Goa, Bhubaneshwar, Guwahati, and Mumbai. to visit Jim Corbett National Park? The summer season in India for visiting Jim Corbett National Park is from March to June. The days are shiny and hot during the summer season. This season is considered to be the best because visitors can spot the maximum number of animals during the summer. The winter season commences in the month of October and lasts till February. One can catch a glimpse of unseen birds that start to appear during this season. 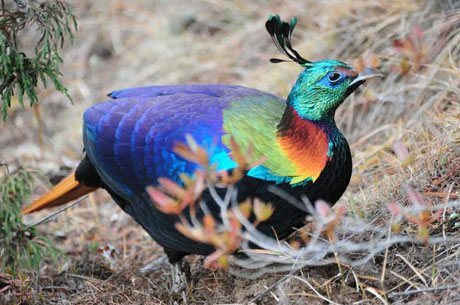 Be prepared to come across a wide variety of birds you that did not even know existed. The best thing about this season is that one can spot amazing animals including the Royal Bengal Tiger. The period between July to September is referred to as the monsoon season. This season is perfect for visitors who prefer a serene and solitary experience since there is less crowd during Monsoon. The weather is remarkable, and one can bask in the lush greenery and vegetation of the region. Nonetheless, it is somewhat risky to visit the Park during Monsoon as there is a possibility of soil erosion, rock falls and landslips. If you’re going to visit Jim Corbett national park then don’t forget to carry water and light snacks so that you can remain energized while exploring the beauty of the nature. You can also carry a journal where you can make a note of every exciting thing that you see over there. Binoculars and camera is a must to capture the beauty of this heart whelming place. Afterall nothing can match the thrill of the moment when you get to watch distant animals on sly. Wear full sleeved clothes and wear sunscreen to stav away from heat flashes during the trip. Looking to book a Safari in Corbett National Park ? Our wildlife experts are here to help.